According to figures compiled by the American Association of Retired Persons (AARP) approximately 87 percent of individuals in the U.S. aged 65+ expect to be able to “age in place.” As the population ages, that means the numbers of seniors living alone — independently, or semi-independently, as long as possible will continue to grow. But with aging in place, there are risks that need to be weighed. Is the home safe? Does it provide the necessary environment? Can the senior navigate the home without impediments? What simple improvements can help? 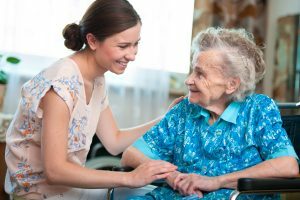 These are questions the professional caregivers at FirstLight Home Care can answer if you have seniors living alone. Some of these improvements are simple and the cost is very low. It’s also possible that some of the costs for improvements can be reimbursed through Medicare or the senior’s insurance. Before you decide if your senior can remain at home, or if you have questions about other topics related to caregiving, contact us through the “Just Ask FirstLight” form on our website.